When Amazon first announced it would buy Whole Foods Market in a blockbuster $13.7 billion deal in June, details on how the retail and technology giant might change the supermarket chain weren’t immediately clear. But now, Amazon has finally revealed a major improvement coming to Whole Foods when the deal officially closes on Monday -- and it's damn good news for anyone who's ever dropped $10 on, say, a jar of pickles there: lower prices. 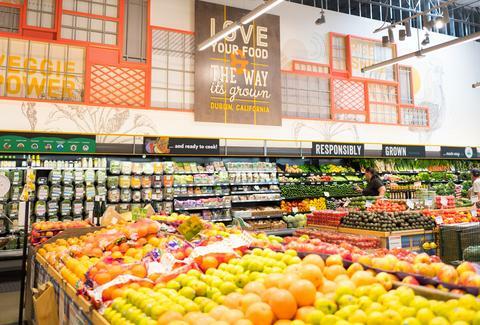 As a report by CNBC explains, you can expect to start seeing lower prices and special discounts at Whole Foods next week as an instant result of the companies' efforts to merge and integrate their businesses. Specifically, Whole Foods will roll out price cuts on "a selection of best-selling grocery staples across its stores" such as organic avocados, bananas, brown eggs, baby kale, apples, and rotisserie chicken as well as 85% lean ground beef, butter, almond butter, and more, according to a press release. There's no word on exactly what the new prices will look like yet, though. Additional discounts are also on the way, including exclusive deals for Amazon Prime members. In fact, Prime will become Whole Foods' new customer rewards program. "Amazon and Whole Foods Market technology teams will begin to integrate Amazon Prime into the Whole Foods Market point-of-sale system, and when this work is complete, Prime members will receive special savings and in-store benefits," Amazon said in a statement. "The two companies will invent in additional areas over time, including in merchandising and logistics, to enable lower prices for Whole Foods Market customers." Amazon said the significant move is part of its vision of making Whole Foods' organic foods affordable and accessible for everyone. Along with the discounts, Amazon will start selling the grocer's private label products -- 365 Everyday Value, Whole Foods Market, Whole Paws, and Whole Catch -- via Amazon.com, AmazonFresh, Prime Pantry, and Prime Now. Oh, and as predicted, you'll soon be able to pick up your Amazon orders from Amazon Lockers located in Whole Foods stores. It's all happening, you guys. Whole Foods and Amazon, however, said they're only just getting started. Tony Merevick is Senior News Editor at Thrillist and is actually sort of worried about his spending now. Send news tips to news@thrillist.com and follow him on Twitter @tonymerevick.